1. 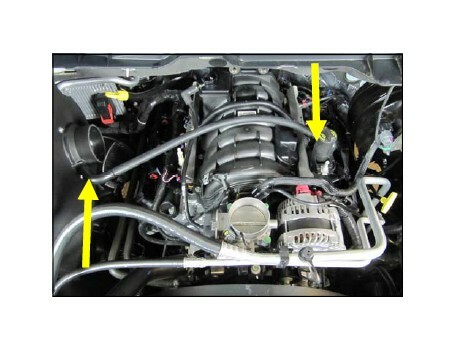 Disconnect the air temperature sensor and loosen the clamps on the intake tube. 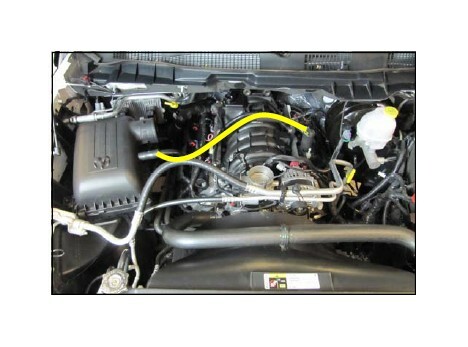 Remove the intake tube and set it aside. 2. 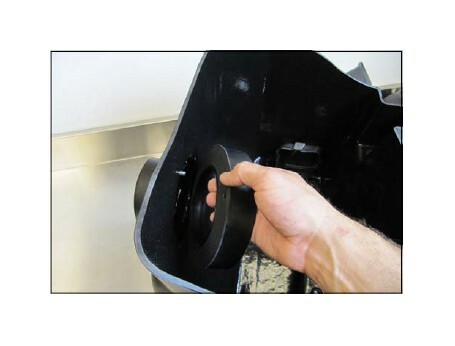 Lift the front of the engine cover up to unseat it from the mounting grommets and remove it. 3. 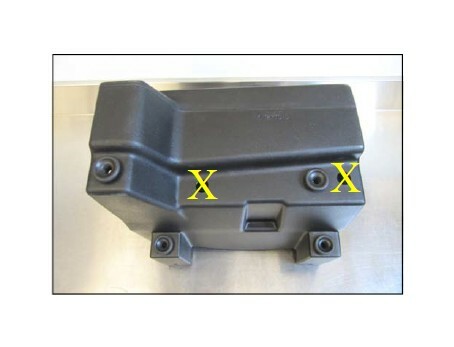 Remove the PCV line connecting the air box to the valve cover. 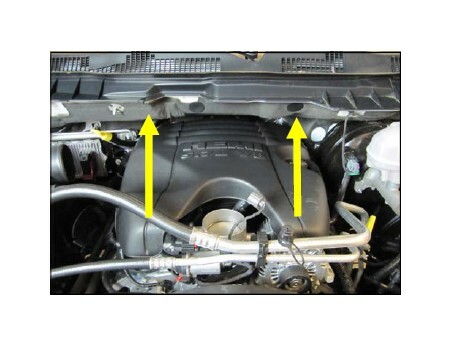 Note: The 90 degree fitting on the valve cover is to remain in place. 4. 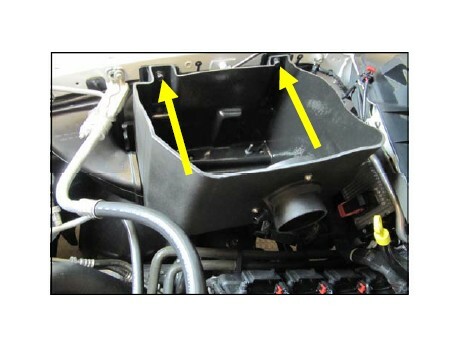 Remove the two fender bolts in the air box cradle and remove the entire air box assembly. The bolts will be reused in step 10. 6. 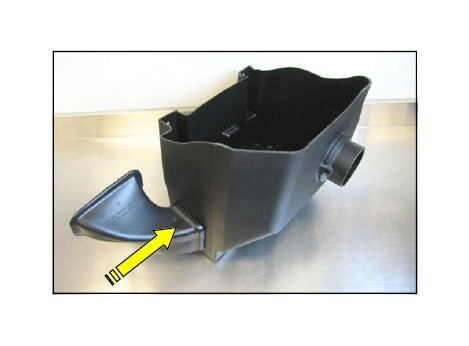 Transfer the air scoop from the factory airbox into the Airaid Cool Air Box as shown. 7. 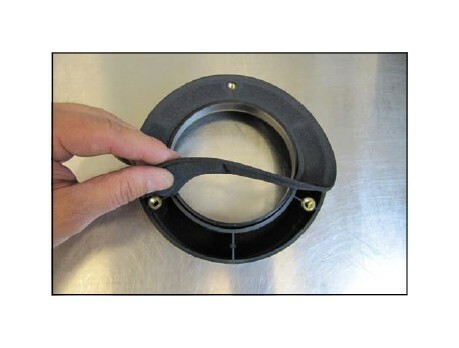 Prepare the Filter Adapter for installation by mating it to the Adapter Gasket and aligning the bolt holes. 8. Mount the Filter Adapter and Gasket inside the Cool Air Box as shown using the three sets of 1/4-20 Button Head Screws and 1/4” Flat Washers . 9. Install the 1/4” Barbed Fitting into the Cool Air Box snout as shown. 10. 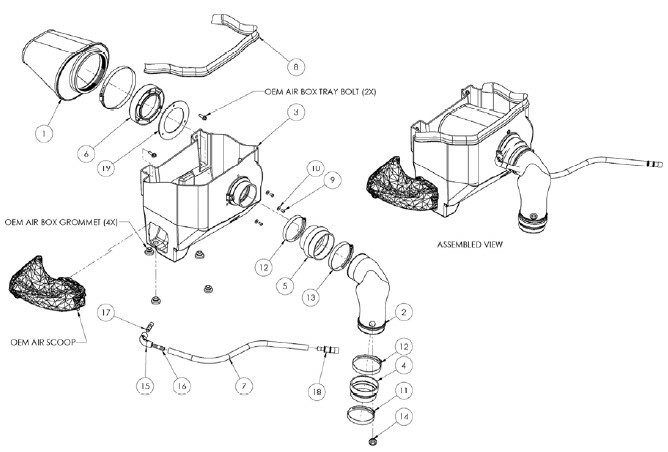 Set the Airaid Cool Air Box into the cradle and secure it using the factory hardware removed in step 4. 11. 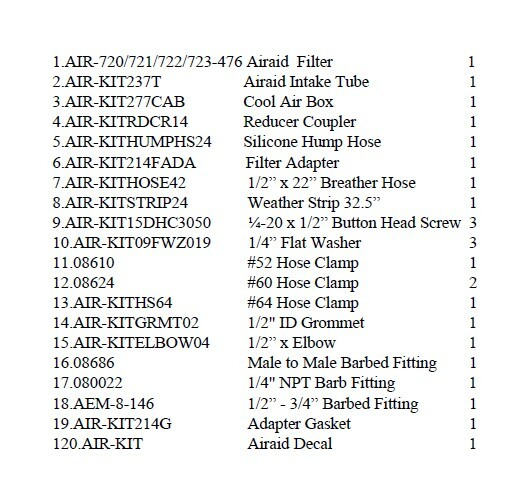 Assemble the Airaid PCV line using the 22” Breather Hose, 1/2” to 3/4” Barbed Fitting on one end. 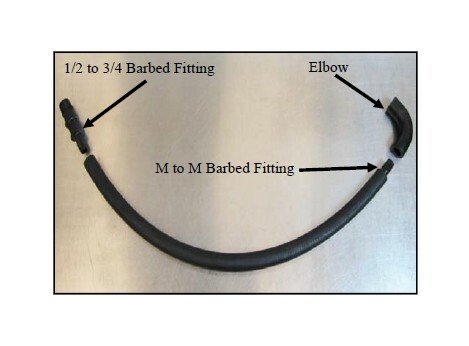 On the other end, connect the 1/2” Elbow to the Breather Hose using the Male to Male Barbed Fitting. 12. 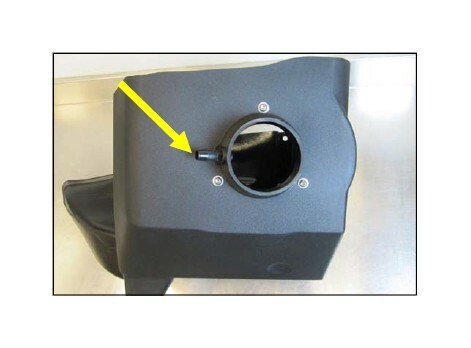 Install the Elbow side of the Airaid PCV line onto the Barbed Fitting on the Cool Air Box and connect the other side to the factory valve cover elbow. 13. Reinstall the engine cover. 15. 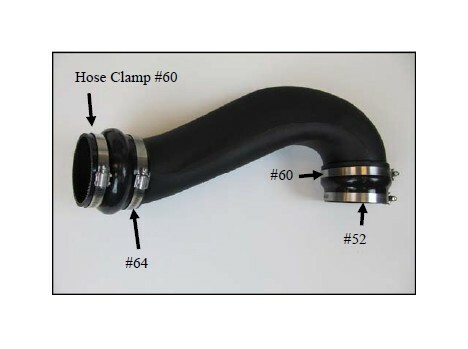 Insert the 1/2” Grommet into the Airaid Intake Tube. 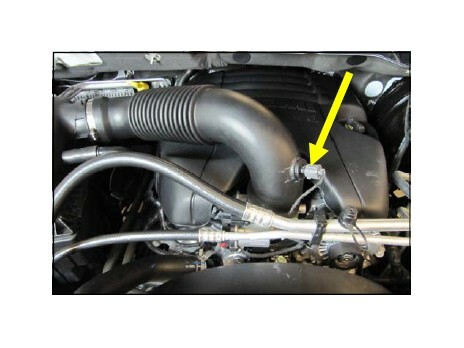 Transfer the air temperature sensor from the factory intake tube, into the Airaid Tube. 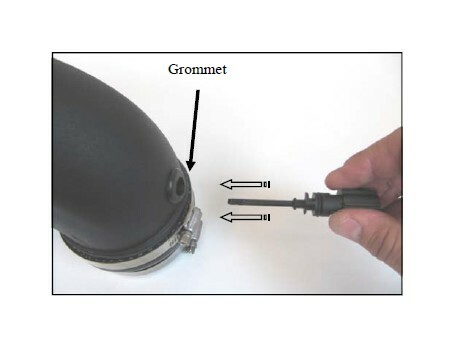 Hint: A small amount of silicone or soapy water makes for a safe Grommet/O-ring lubricant. 16. 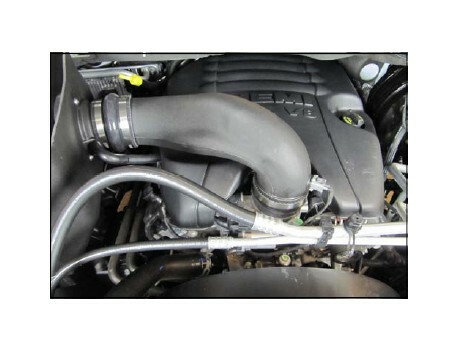 Install the Intake Tube, Hump Hose side first, onto the Cool Air Box, then onto the throttlebody. Align all four Clamps and tighten them. Reconnect the air temperature sensor. 17. 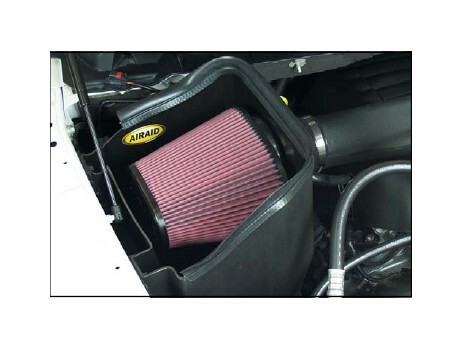 Install the Airaid Premium Filter onto the Filter Adapter inside the Cool Air Box. 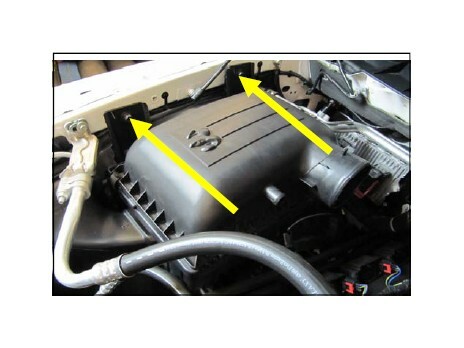 Install the Weatherstrip onto the Cool Air Box as shown, with the contour rolling away from the Filter. 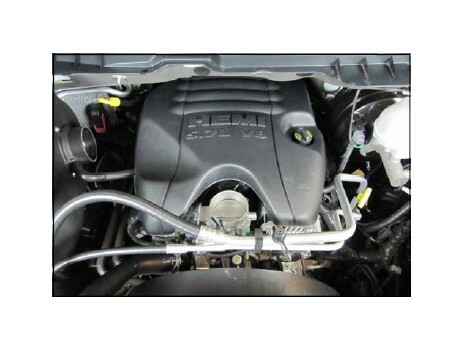 Complete the install by applying the Airaid Decal to the inside of the Airbox. 18. Double check your work! Make sure there is no foreign material in the intake path. Make sure all clamps, hoses, bolts, and screws are tight. Double check the hood clearance!